Real estate networking events offer investors a great opportunity to expand their knowledge of the industry and meet potential contacts at the same time. Not all real estate events are created equal, but the best ones are well worth the price of admission. If you are serious about scaling your real estate investing business, try searching “real estate networking events near me” to find the best conference in your area. As the housing industry continues to thrive, real estate networking events simultaneously grow in popularity. The benefits of investing in real estate are simply too great to ignore making conferences a great place to network and discover new industry trends. However, with number of real estate networking events on the rise, it can be difficult for an investor to choose the one that will best benefit his or her business. It would be impossible for investors to attend every real estate event that is announced, and fortunately they don’t have to—so long as they plan ahead and identify which events offer the most benefits. If you are in the midst of creating your 2019 calendar, consider adding some of these real estate networking events to your schedule. The importance of real estate networking cannot be understated for investors hoping to find success in the industry. Conferences represent the opportunity to build connections with like-minded, focused professionals across the country. 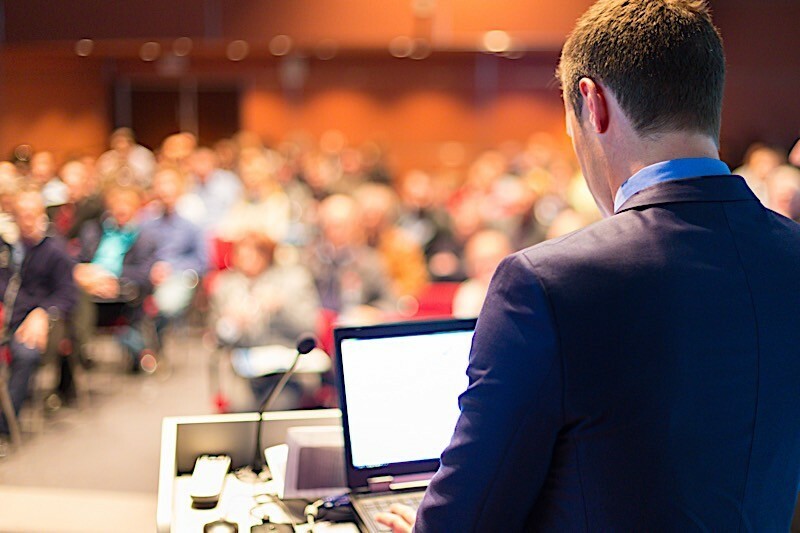 Aside from building a real estate network, the right conferences can also provide investors information on the latest industry trends and technologies. Why: This real estate networking conference is a two-day gathering of industry leaders in Denver, CO. This year’s Gathering Of Eagles will feature Ken Auletta, author of Frenemies: The Epic Disruptions Of The Ad Business, as a keynote speaker. Auletta is a business journalist with over twenty years of experience, and has won numerous awards for his writing. This year’s conference will be held in May, giving investors ample time to register and prepare for the event. The REAL Trends Gathering of Eagles conference is a great opportunity for real estate investors seeking to expand their business knowledge and network with top industry talent. The event will cover topics ranging from deal terms and negotiations to future trends in the real estate world and acquisitions. The sessions will also include information on legal and tax issues in the industry. The wide array of topics and history of attendance ensures investors will leave this conference with new connections and a strong understanding of deal negotiation best practices and business acumen. Ignite is an investor-centric real estate event that caters to those looking to make a career out of their passions. More importantly, it offers practical skills that can be applied to every investor’s personal goals. The informational sessions alone are worthy of the admission price; however, Ignite also hosts a networking party after the event. Investors who are looking to network with real estate professionals and bring home unique industry knowledge should consider adding Ignite to their 2019 plans. Why: RealWorld 2019 is a real estate networking conference hosted by RealPage. This year’s event will be held in July in Orlando, FL. RealWorld 2019 provides the chance for investors to grow their real estate network by offering multiple networking sessions for attendees. If you are interested in brushing up on your networking skills before the conference, be sure to read this article. RealWorld will also feature a keynote speaker and breakout sessions to ensure every investor leaves with newfound knowledge. The conference has a strong focus on the ins and outs of property management, and features breakout events on a variety of related topics. Though the official speaker schedule has yet to be released, sessions are expected to include information on commercial properties, energy management, tax credits, vacation homes, student housing and more. The wide array of topics and guaranteed networking events make this conference perfect for real estate investors looking to take their businesses to the next level this year. When it comes to real estate networking events, The National Association of Realtors (NAR) Conference & Expo is about as big as it gets. Last year’s event took place in November, in Boston, MA. Thousands of professionals involved in the real estate industry gathered with a single goal: to discuss the biggest trends in the real estate industry. Those in attendance were treated to forums, general education sessions, networking, association meals, investor events and more. Sessions ranged from boosting business through volunteer work and future planning through business practices. A convergence of talent has shown up to past events, and the conference will likely continue to attract top professionals in the future. Therein lies the single most important reason real estate investors should consider adding the NAR’s Conference & Expo to their calendar next year. With more than 4,000 industry professionals in attendance at the 2018 event, Inman Connect was one of the most innovative real estate events of the year. In addition to bringing together some of the greatest minds in the industry, attendees received actionable advice, guidance and insight into the biggest changes in the industry. Breakout sessions such as “Introvert or Extrovert? How To Use Your Personality Type To Double Your Business” and “Are you Amazon Or Are You ToysRUs?” brought new life to traditional conference topics. Perhaps even more importantly than the impressive speaker schedule was that investors were given the opportunity to mingle with some of the best industry professionals. This week-long sold-out event hosted speakers from all around the country, and featured regular networking sessions. Whether you want to broaden your grasp on industry knowledge or meet investors hoping to do the same, attending the next Inman Connect could be the right move for you. Be sure to check out the 2019 registration dates to make sure you don’t miss another game changing conference. The Building Owners and Managers Association (BOMA) International, which was hosted in San Antonio, TX in 2018, is an annual conference for real estate professionals of all levels and backgrounds. What makes BOMA International unique is that it offers specific conference tracks, supplying investors with a weekend of specialized knowledge on a topic of their choosing. Tracks from the 2018 conference included building operations and management, industrial real estate management, tenant relations and retention and more. Real estate investors who attended the 2018 event were also able to network before, during and after the conference through BOMA’s online NetworkNow tool. This database gave registered attendees the opportunity to expand their industry contacts and participate in real estate networking groups online. By creating personalized profiles, professionals could identify specific investors they were hoping to network with. If you are upset you missed last year’s conference, be sure to check out their registration information for a roster of upcoming events. As you set your business up for success in the new year, consider adding one of these real estate networking events to your calendar. By offering unrivaled access to some of the top real estate professionals, each of these conferences serves as an opportunity to form new connections in the industry. If you find yourself searching for a way to take your business to the next level, try attending one of these networking events in the upcoming year.